Lawyer? Bail Bondsman? Click Here to ADVERTISE With Us!!! The data contained in this web site should not be relied upon for any type of legal action. Anyone who uses this information to commit a crime or to harass an individual or his or her family may be subject to criminal prosecution and civil liability. Extreme care must be taken in the use of information because mistaken identification may occur when relying solely upon a name to identify individuals. Although the information on this website is believed to be correct, information is provided on an as is basis and accuracy cannot be guaranteed. No Warranty of any kind is given with respect to the contents on this website. ALL INDIVIDUALS ON THIS WEBSITE ARE INNOCENT UNTIL PROVEN GUILTY. You should contact the appropriate arresting agency in order to verify the records are up to date and/or accurate. By using this website you agree not to copy or use the information on this website for any commercial use. This website is not affiliated with any of the arresting agencies. 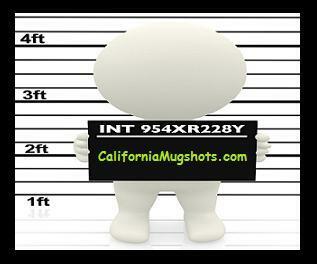 We do not charge to remove mugshot photos. We don't remove mugshot photos as they are a matter of public record. However, if you can provide legal documentation that the charges were dismissed then we will consider noting that these charges did not result in an original conviction.